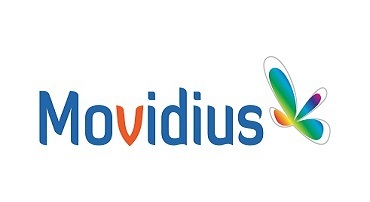 Movidius, world leader in ultra-low power machine vision technology today announced a strategic partnership to provide advanced vision processing technology to a variety of VR-centric Lenovo products. The deal means that Lenovo will be able to source the advanced Myriad 2 Vision Processing Unit (VPU) and custom computer vision algorithms for various virtual reality projects. Myriad 2 is an ultra-low power chip designed specifically for handling challenging vision-based tasks such as head tracking, gesture recognition, and blending multiple video streams into interactive VR video. Thanks to the small size and thermal footprint of Myriad 2, it’s able to power extremely compact handheld and head-worn devices. The Myriad 2 VPU features a flexible configuration of 12 high performance programmable vector cores, allowing Lenovo to implement custom algorithms to meet the needs of a wide range of products. With a built-in Image Signal Processor (ISP) and hardware accelerators, the Myriad 2 offloads all vision related tasks from a device’s CPU and GPU, drastically improving performance while only consuming a single Watt of additional power. The first Lenovo products featuring Myriad 2 are expected in 2nd half 2016. More details to follow at Lenovo’s Tech World event taking place June 9th in San Francisco.